The next installment of the Risk Series will be Weathering the Storm: Building Business Resilience to Climate Change on March 20, 2018 and April 12, 2018. Seats are filling up fast, so save your seat today. At the turn of the last century, the majority of American were involved in agriculture. Today that number is less than 2%. Technological advances shifted the American economy then, it’s happening again, but this time in the manufacturing and service industries. The Risk Institute welcomed Chris Ryan from ADP and Michael Betz from The Ohio State University on February 21, 2018 to discuss on demographic change impacts the macroeconomy. Betz emphasized that to understand the digital revolution, it helps if we also understand the industrial revolution of the 19th century and other employment revolutions. 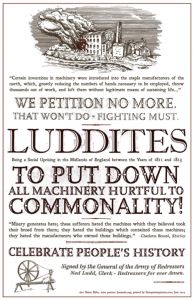 The Luddite revolution of the 19th century began as cotton gins and steam engines were breaking on to the stage in a big way, able to do the jobs of low skill workers faster and more efficiently. 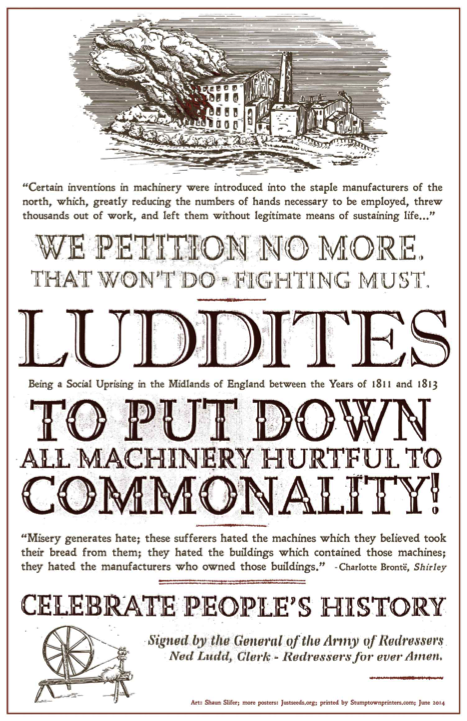 These Luddite revolutionaries called for the end of these machines, but their call was shortlived because they were soon able to find other work and reap the benefits of living in a more productive society. Throughout history, as worker productivity increased, so too did the median household wage, and so there hasn’t been much sustained resistance to new technology. So is the digital revolution different? Both Betz and Ryan say yes. In the past, low skill jobs were taken over by highly specialized machines and workers were able to retrain and procure new jobs that machines couldn’t do, but with advancements in technology, robotics and artificial intelligence even the highest skilled workers are having a tough time competing. To compound the situation, since the 1980s, worker productivity has increased exponentially, but the median household income has leveled off, so people aren’t experiencing the financial benefits of a more efficient society. 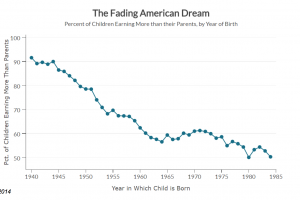 According to their data, a child born in 1940 had a 92% chance of earning more than their parents did. 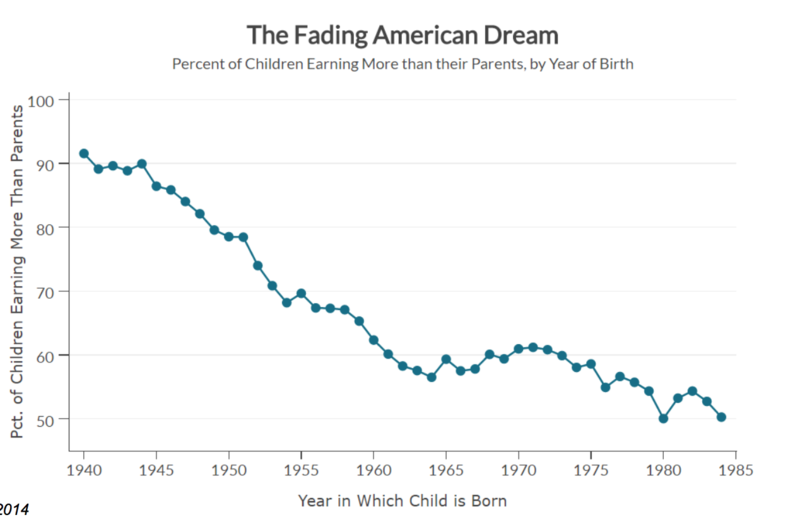 However, a child born in 1985 (so today’s millennials), only have a 50% chance of earning more than their parents. Ryan suggests looking forward to the future saying that most employment practices are looking in the rearview mirror rather than looking forward to future trends like liquid pay, the gig economy and work flexibility. Posted by Risk Institute Communications at 11:44am Posted in Uncategorized. Bookmark the permalink.